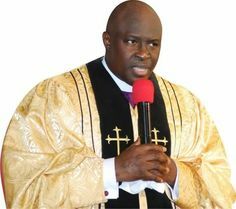 A Foursquare Gospel Church cleric, Reverend Adewale Elias has urged Nigerians to pray to God for hope for the country. The Reverend, who is the Zonal Superintendent of the church at Cement in Lagos gave the advice on Sunday. He admonished Nigerians to get closer to God. Elias, while stating this in a sermon on “Christ in You”, added that various falling institutions in the country could only be restored through hope in Jesus. He lamented that even family units and ethics are failing and also need divine intervention. Speaking on the mystery of Christ, he noted that it was the secret and fullness available to believers to tap into. “How I wish that you can begin to pursue this mystery. The nation we belong to has succeeded in giving us no hope, the family is not giving hope. “Christ in our hearts is the foundation of our hope. Our only hope is in Christ, the hope that will last forever. That is why the scripture says Christ in you, the promise of glory. “Every other hope is fading away,” he said. The cleric also urged Christians to impart Godly values to their children for the upliftment of lives and positive development of Nigeria.